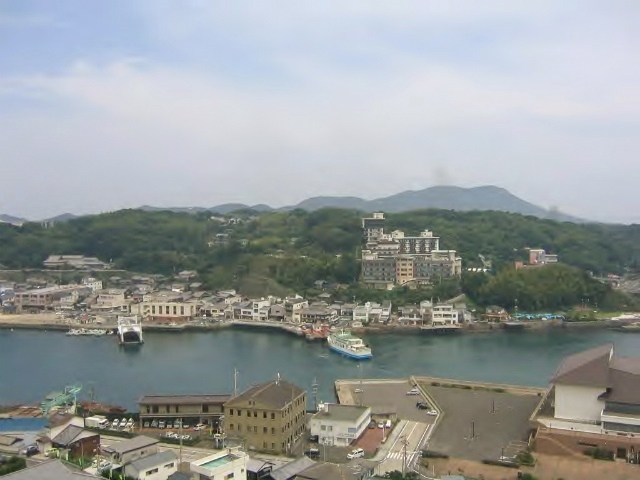 Hirado has been a port of call for ships between the Asian mainland and Japan since the Nara period. 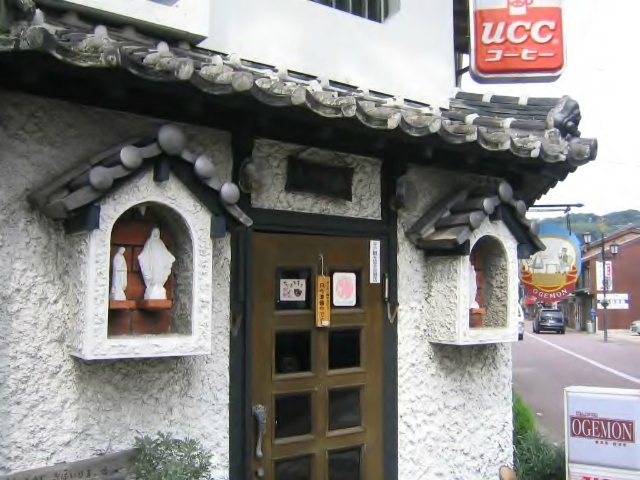 During the Kamakura and Muromachi periods, the local Matsuura clan held the rights to trade with Korea and with Sung Dynasty China. 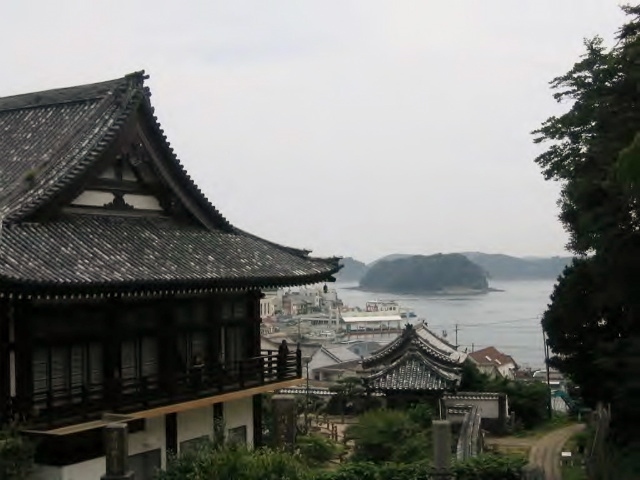 During the Sengoku and early Edo periods, Hirado’s role as a center of foreign trade increased, especially vis-a-vis Ming Dynasty China and the Dutch East India Company (VOC). 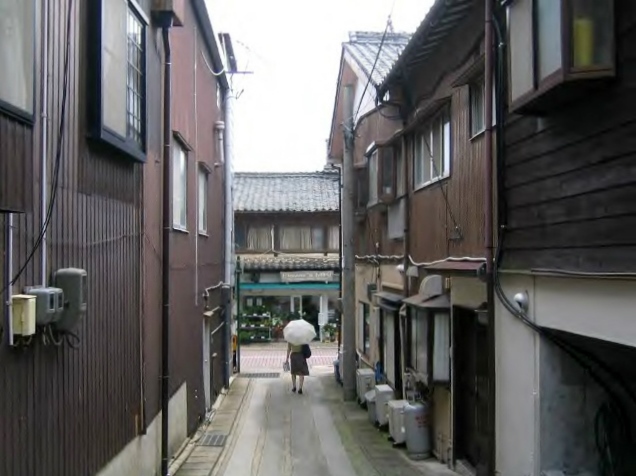 The Portuguese arrived in 1550, and the English and Dutch initially reached Japan at the beginning of the 17th century. 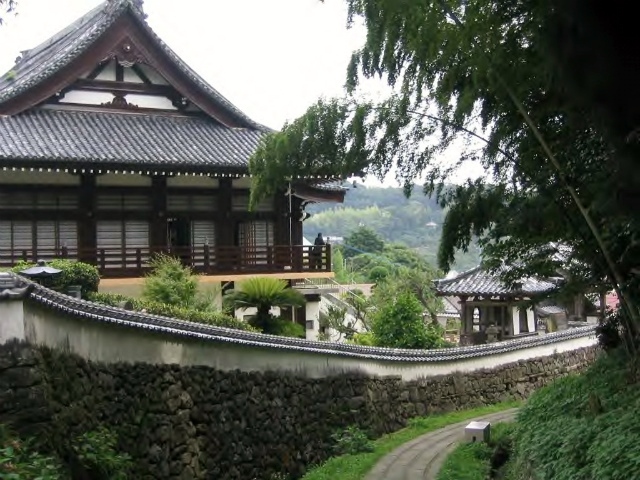 The first step in the profitable Dutch-Japanese trading relationship was the Shogun’s grant of a trading pass (handelspas) in 1609. 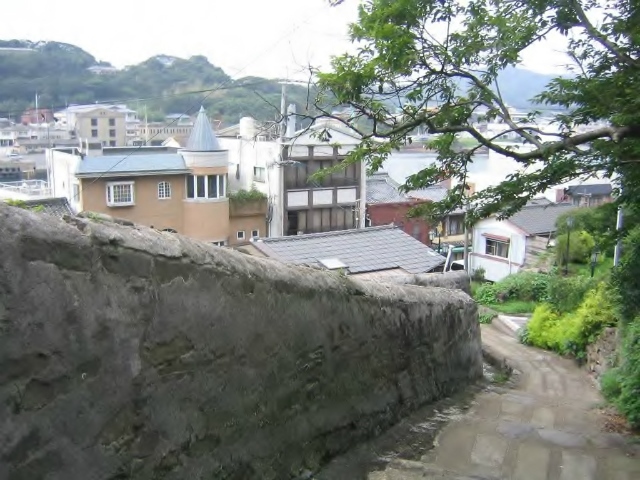 At its maximum extent, the Dutch trading center covered the whole area of present-day Sakikata Park.In 1637 and in 1639, stone warehouses were constructed, and the Dutch builders incorporated these dates into the stonework. 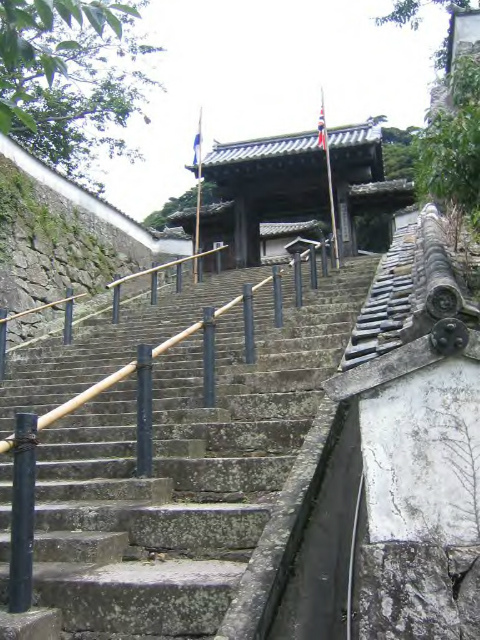 However, the Tokugawa shogunate disapproved of the use of any Christian Era year dates, and therefore demanded the immediate destruction of these two structures.This failure to comply with strict sakoku practices was then used as one of the Shogunate’s rationales for forcing the Dutch traders to abandon Hirado for the more constricting confines of Dejima, a small artificial island in the present-day city of Nagasaki.The last VOC Opperhoofd or Kapitan at Hirado and the first one at Dejima was Francois Caron, who oversaw the transfer in 1641.However, modern research indicated that this incident might actually have been an excuse for the Shogunate to take the Dutch trade away from the Hirado clan.The stone warehouse from 1639 that was torn down has been reconstructed in its original form in 2011. 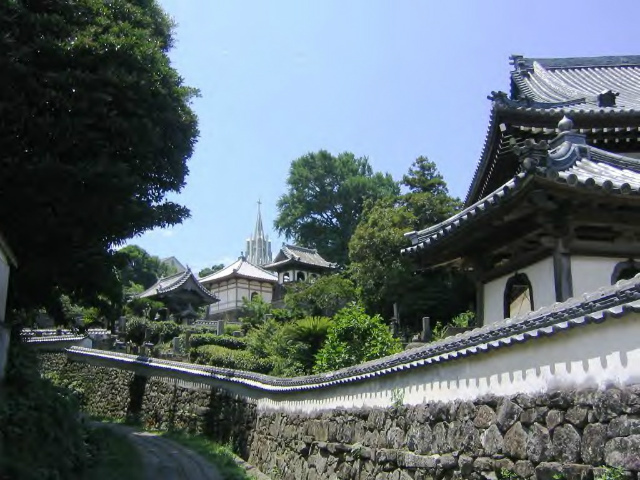 During the Edo period, Hirado was the seat of the Hirado Domain. 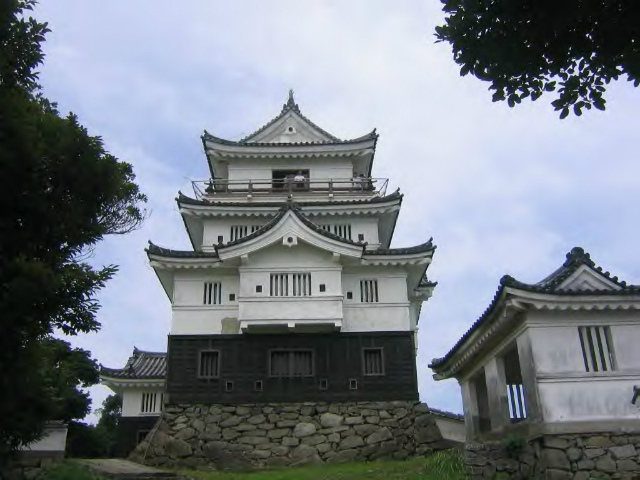 Hirado Castle is today an historical and architectural landmark. 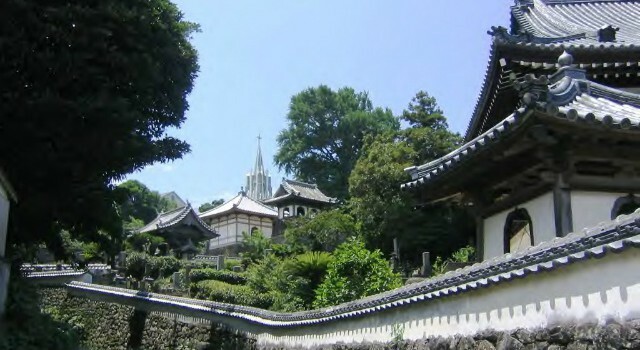 Komyo-ji Temple and Zuiun-ji Temple are mostly famous as part of the view of both temples and a church. 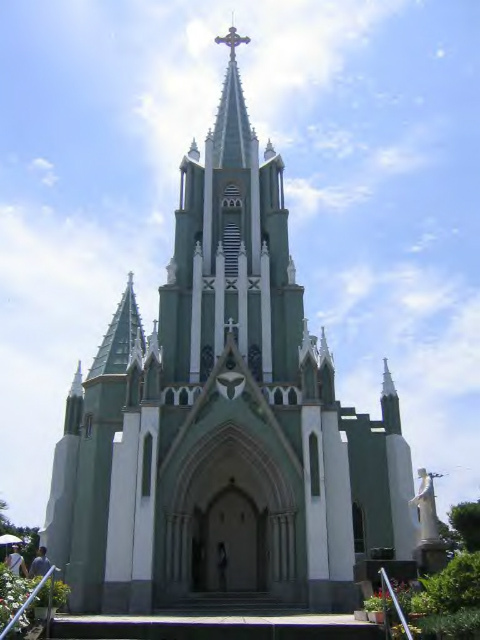 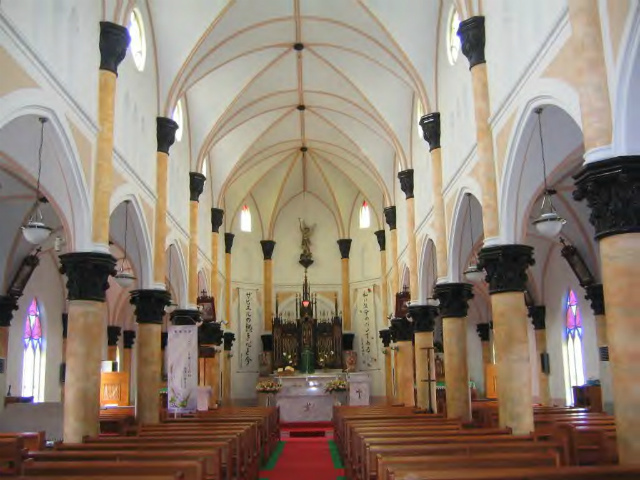 This view of the spire and cross of the Hirado Catholic Church in combination with the traditionally Japanese tiled roofs of the two temples has become representative of Hirado as it shows the mixture of Japanese and Western cultures. 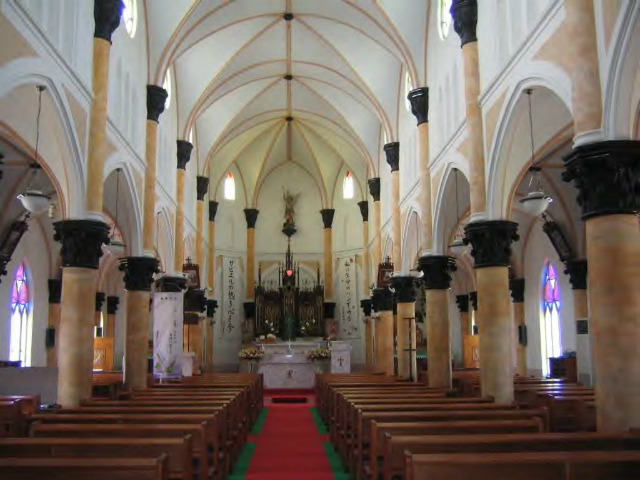 Please excuse law quality images with low-performance Compact Digital Cameras.